Well actually I’ve done a couple things I consider to be a success. 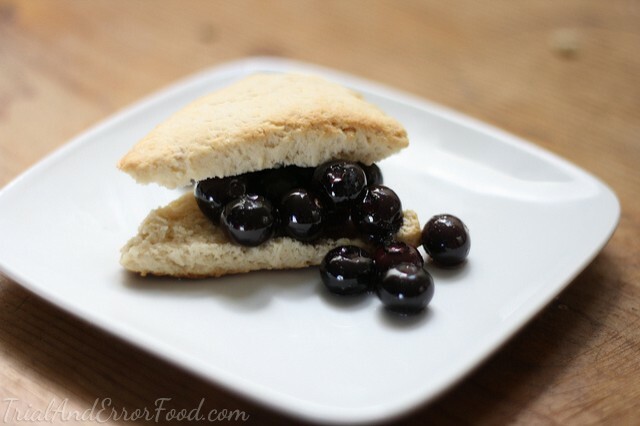 First- after some testing I’ve found a way to make scones that don’t require four hours of drowning in hot liquids in order to be edible. Second- I’ve found a way to combine booze and breakfast. And I realize that mimosas have already done this, but you can’t eat a mimosa for breakfast. I’ve made booze edible and I’ve made it breakfast acceptable. You’re welcome. PLUS I’ve made it healthy by adding fruit! Who cares if it’s cooked in boiling hot honey that strips it of most its nutritional qualities? It’s really really really delectable. The blend of rich moist Irish Cream pastry and tart, honey glazed blueberries will quickly help you forget any nutriton that might have been lost. You’ll be just fine. Pinky promise. It’s also incredibly easy. So let’s get to it! BLUEBERRY TIME! 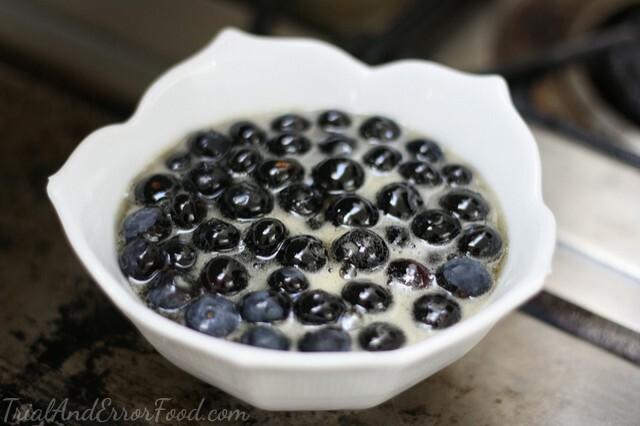 For the poached blueberries you’ll just need honey and blueberries. 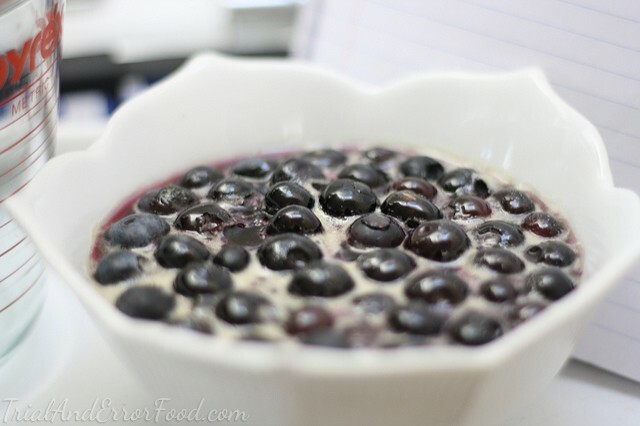 If blueberries aren’t your thing, I’m sure any other berries would work just fine- also I bet this would be delicious with peaches or nectarines…just sayin’! Yes. And yes. 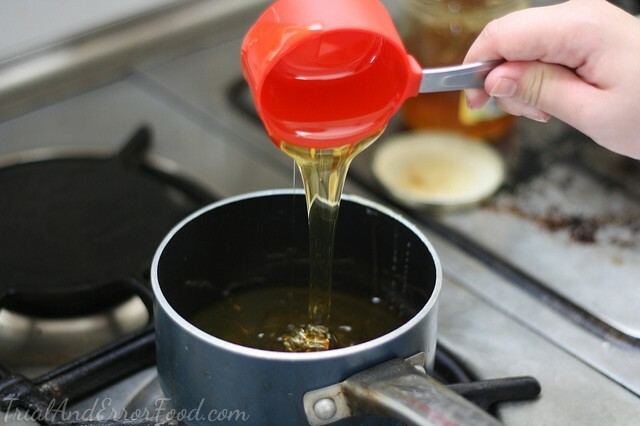 Honey is like soy sauce in my mind- completely indispensable and worth its weight in gold. You can use it for just about anything; from drizzling on yogurt, cereal and fruit to rounding out a marinade or salad dressing. It’s a beautiful thing. 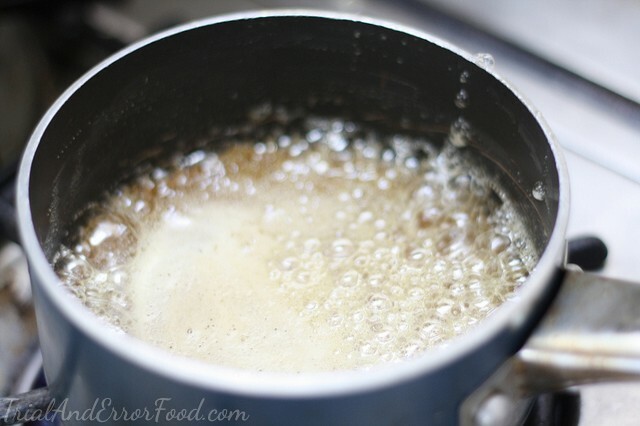 Bring the honey to a boil- and like the maple syrup from the beignet and maple mousse post, since it’s so sugary and wants so badly to be candy, make sure to constantly stir to avoid scorching. 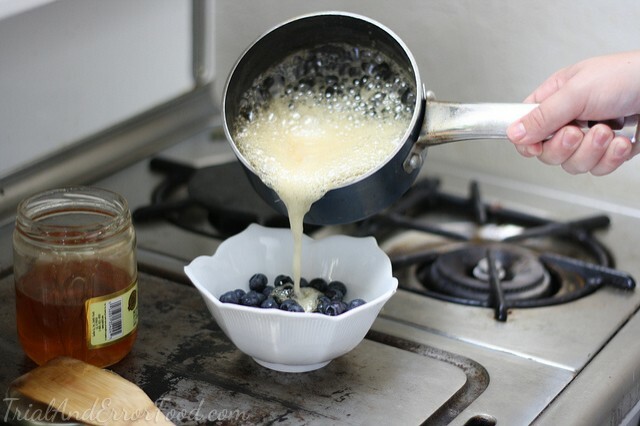 Once it’s boiled, pour right over the berries. Set ‘em aside and let the honey do the cooking. Super easy right? 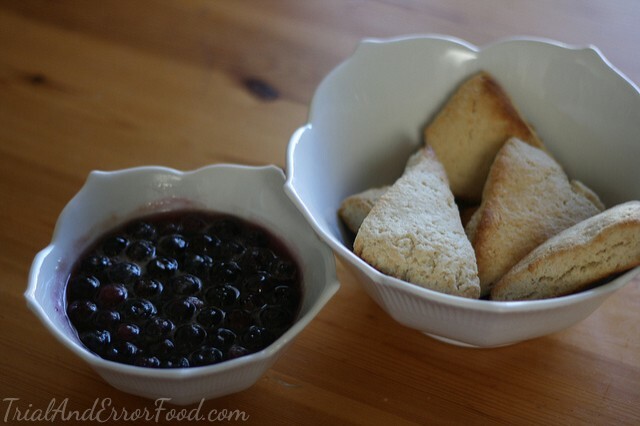 It’s time to get our scone-on. This time I have all the proper ingredients for the picture! 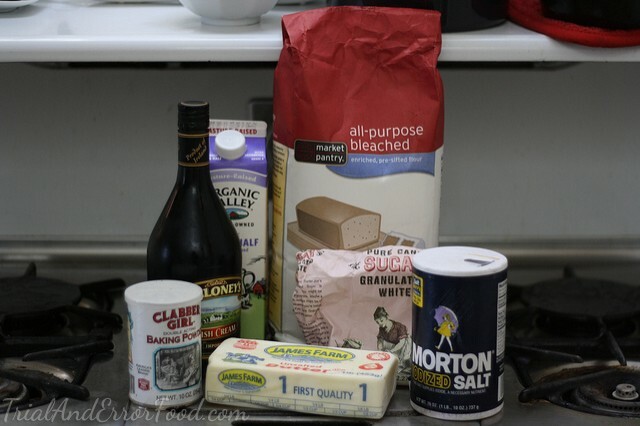 You will need: all purpose flour, sugar, salt, baking powder, butter, cream (can be whole milk or half and half or really whatever you have), and of course the irish cream. I have an off-brand kind that my brother left in my refrigerator and it worked great. 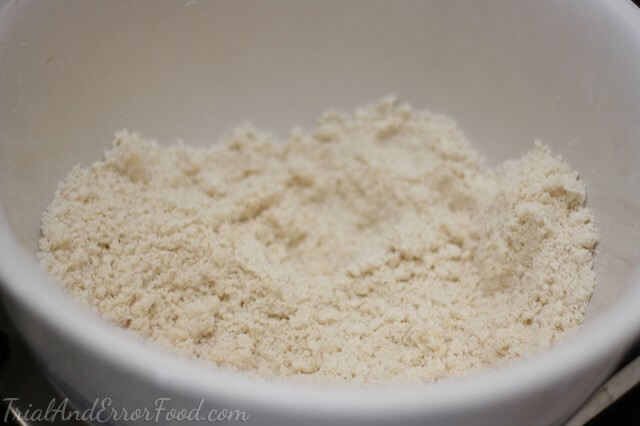 A word about the butter- normally when making scones and other pastries that are supposed to be crumbly or flakey (like a pie dough) you want the butter to be cold but I don’t like my scones flakey and super crumbly, I like them moist so I kept my butter at room temperature for this recipe. 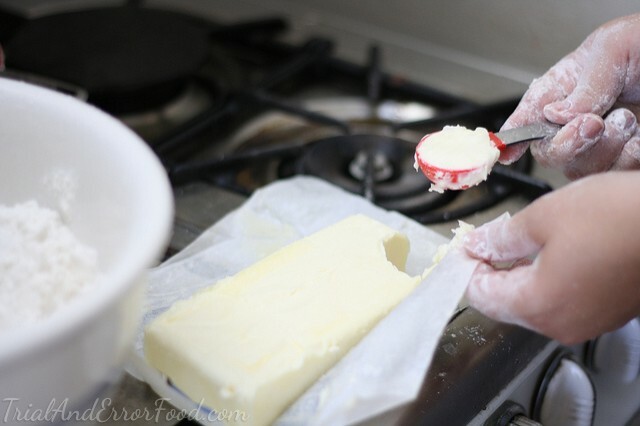 If you like your scones crumbly, then you’ll want your butter to be chilled. 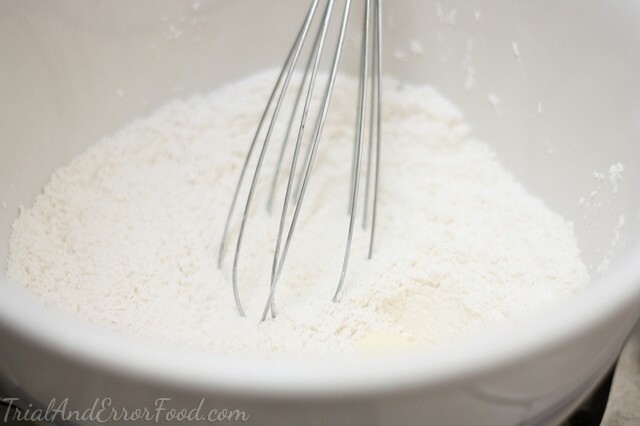 Start by whisking together all the dry ingredients. Slowly, work in the butter. You will get messy and covered in flour and butter. Enjoy it. 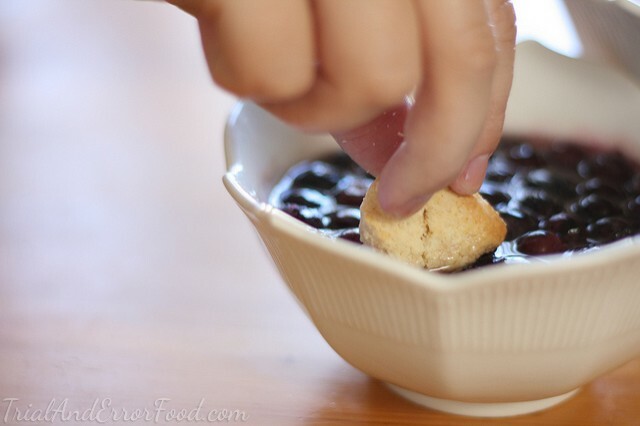 Take a break to admire how pretty the blueberries are. This is crucial. Don’t skip this step. Get back to getting buttery. Once you’ve worked in all the butter, it should look something like this. You want goldmines of butter hiding away in the dry ingredients. A word about the booze- I altered the original recipe and added more booze for a couple of reasons. First I wanted the flavor to be rich and enhanced rather than understated (i.e. indistinguishable). Second- like I said before with the choice to have the butter room temperature, I like my scones moist. I don’t particularly look forward to a meal that requires chewing on the breakfast equivalent of the Sahara Desert. Thus the decision to add more liquid. If you enjoy more of a challenge when it comes to your meals, I would recommend reducing the liquid. 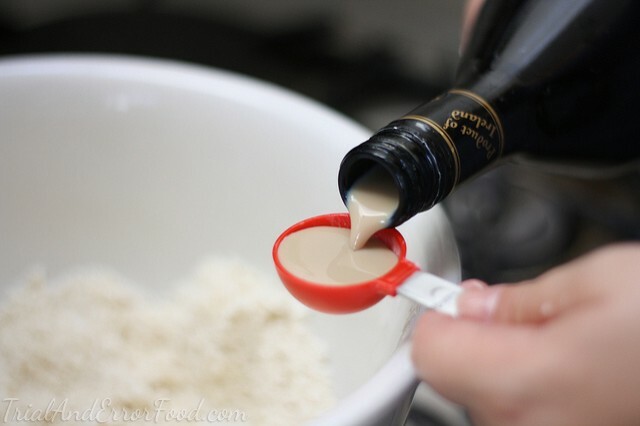 Once you’ve added all the liquids, work with your hands to combine. 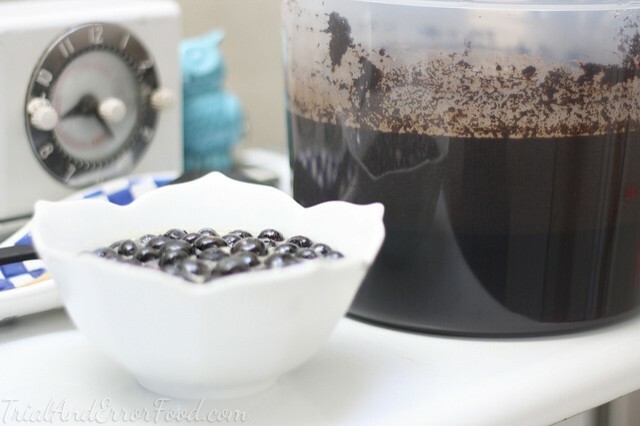 You should quickly yield a delicious, fragrant ball of joy. Take pride in your hard work. 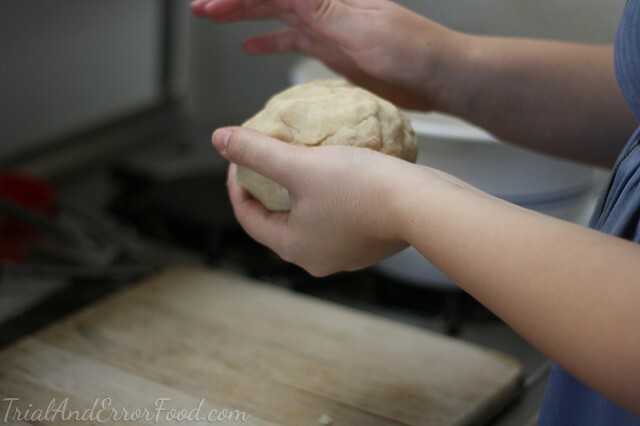 Work the dough into a sphere and slap it down on a well floured surface. 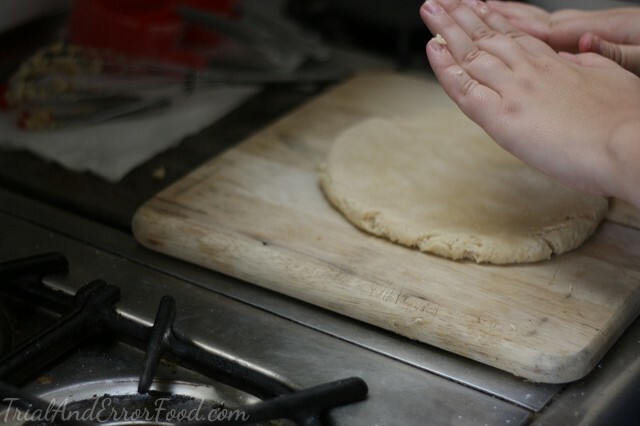 Pat the dough into a small to medium-ish circle. Cut into triangles. 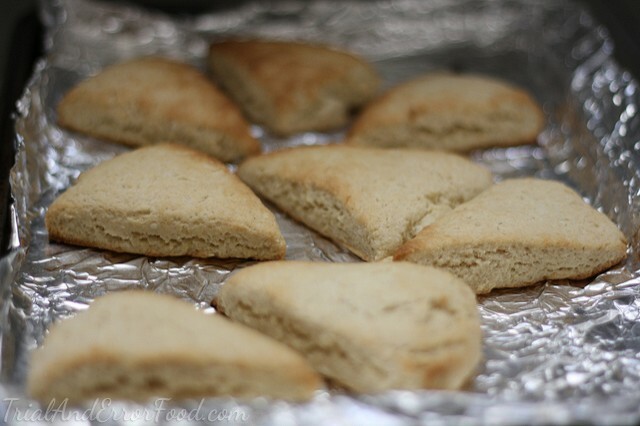 Arrange on a lined or greased baking sheet and bake for 10-15 minutes until golden brown along the edges. I’ll admit they don’t look like much, but boy do they pack in the flavor. My recommendation? Try each separately at first to get the full effect of each flavor. And then cut it open and drizzle away. The combination of the two is incredible. 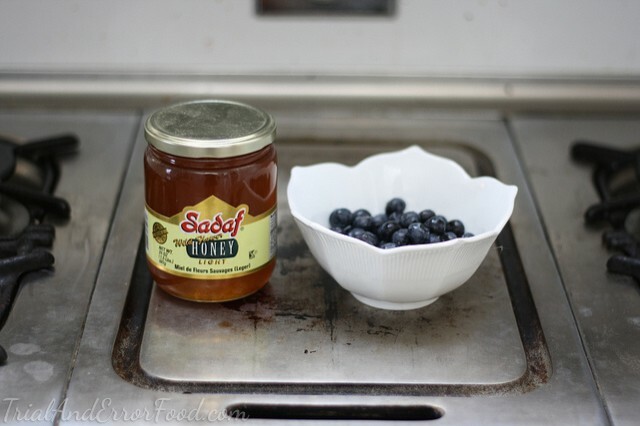 And after you’re done with the blueberries, save the honey for later use. You are now the owner of blueberry infused honey and it is delicious. 3. 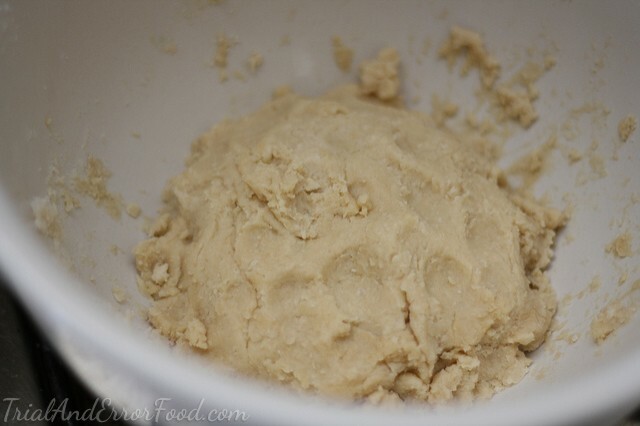 Slowly mix in the butter until barely combined, you don’t want butter completely incorporated. 5. 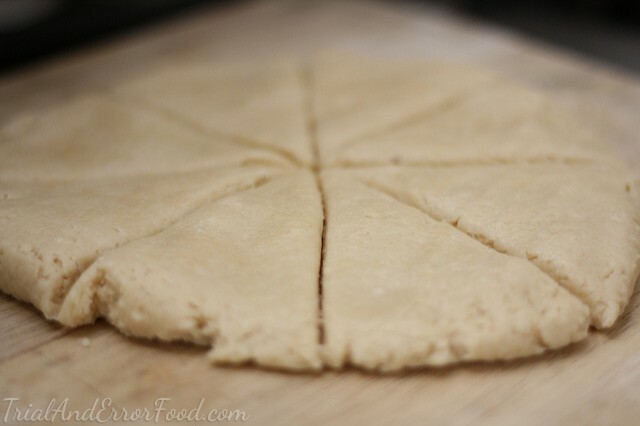 Form a ball and roll into a small to medium-ish circle on a well floured surface and cut into triangles. 6. Bake for 10-15 minutes, until edges are golden-brown. This looks amazing. Need it in my mouth space!! 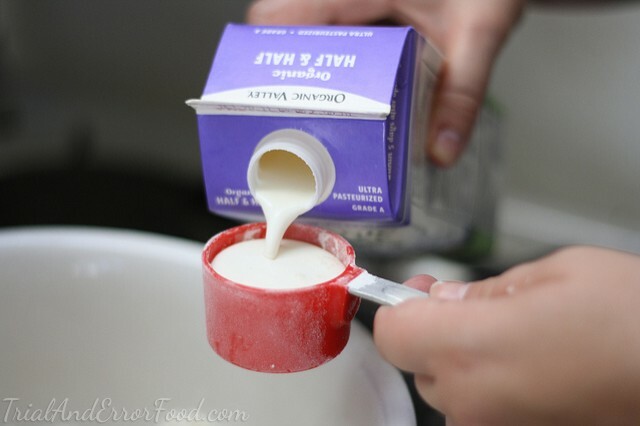 It’s super easy, so come here and I’ll make them for you! Boy oh boy Kelsey, i gotta say you have a special talent for this!!!!! The way you approach these recipes is very unique and very KELSEY! I can’t wait for the next one. Hey Kelsey, I’m just trying to see if I can add a comment….